We can’t help ourselves but be obsessed with all things tropical during this time of the year. Palm trees, pineapples, flamingos, cocktails, beaches, all those things remind us of beautiful exotic destinations. 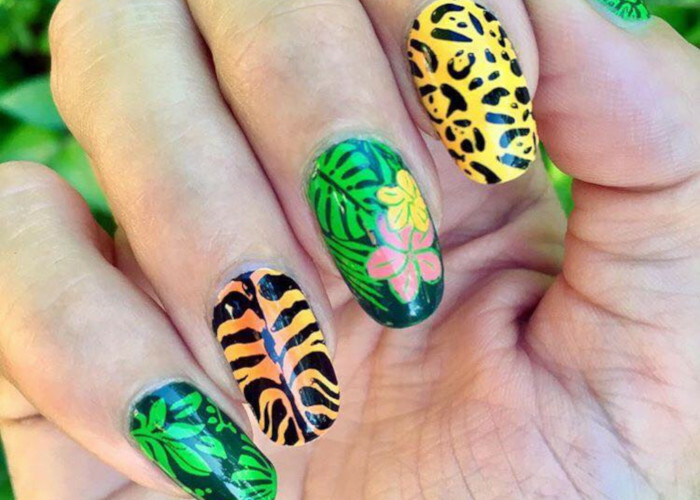 Bring your love for exotic destinations to your nails this season by flaunting a tropical-themed manicure. Here are our favorite	nail designs for you to get inspired. 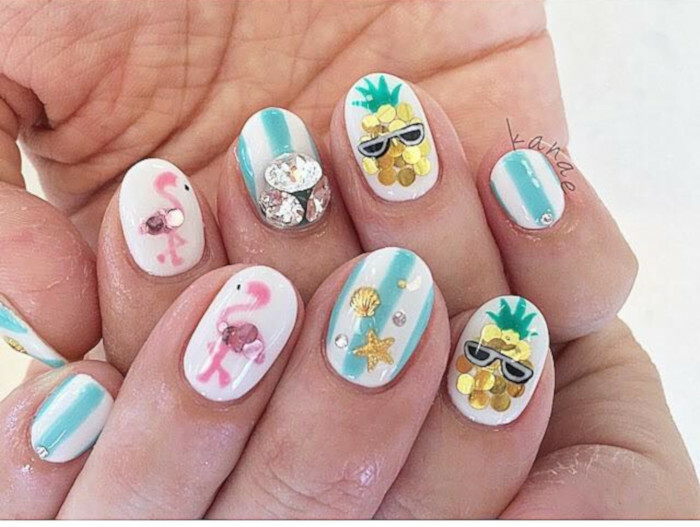 If you are into girly nail designs, here is one to flaunt this summer. Stripes, pineapples, flamingos, sequins and more 3D embellishments – all this is a fun way to show your love for the hottest season of the year.